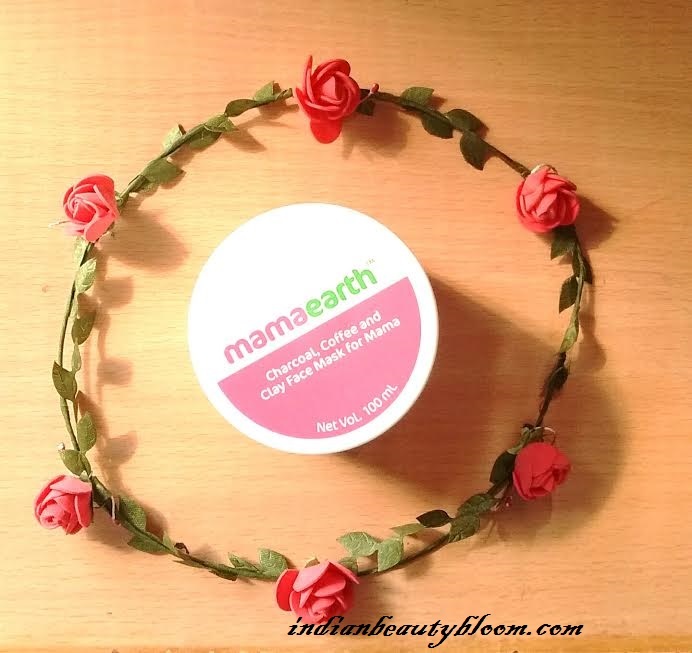 Back with one more product review from brand Mama Earth. 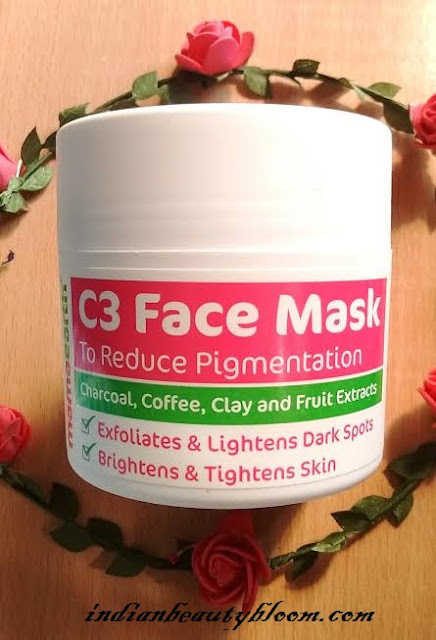 Today I am going to review it’s newly launched C3 Face Mask . We all know that Mama Earth is Asia’s 1st made safe certified brand . 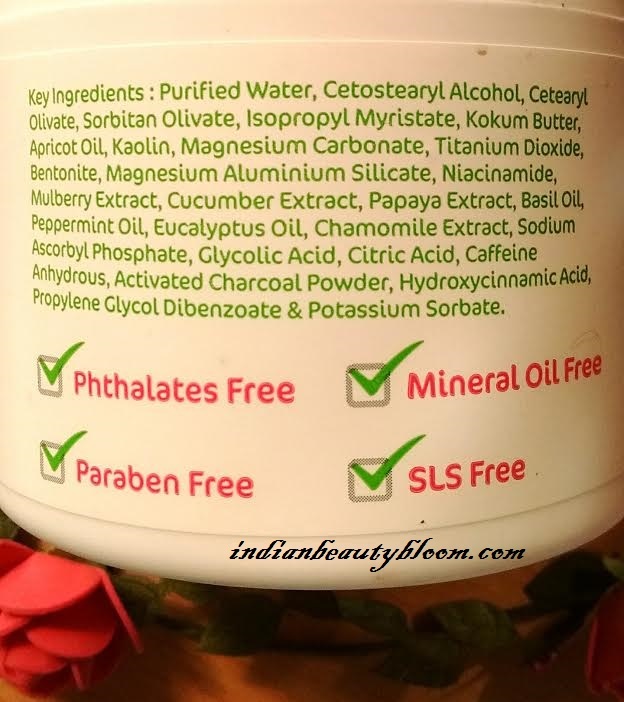 Earlier they had introduced wide range of baby products which are toxin & chemical free . Ideal for small kids & infants . Now they have introduced some products in Mama Range — These are the products for mama’s to take care of their skin & hairs post delivery . This C3 Face Mask of Mama Earth is an excellent combo of Charcoal , Coffee , Clay and Fruit Extracts . 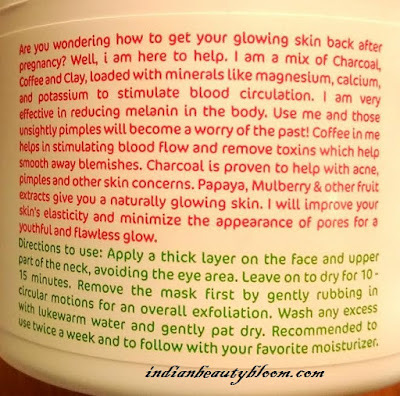 It helps to get the glowing skin back after pregnancy and child birth . The face mask comes in a good quality plastic tub . 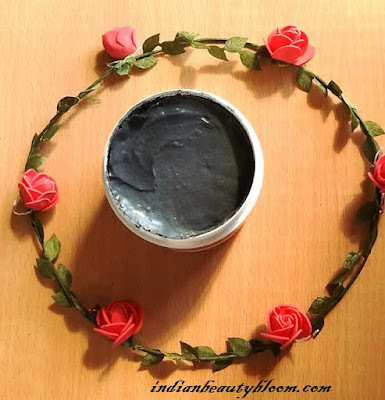 The face mask is a black color thick mask , similar to mud packs . The black color is because of charcoal in it . Fragrance is similar to Peppermint fragrance which is quite refreshing . One needs to wash and clean their face , then apply a thick layer of this mask on their face & neck . Leave it to dry for 10-15 minutes and then remove it gently by first rubbing in circular motion for overall exfoliation and then wash it off with Luke Warm water . Pat dry your skin and apply a good moisturizer . Should be used twice a week . 1. Contains goodness of coffee , clay , charcoal & Fruit extract . 2. Has Cucumber extract , Mulberry extract & Papaya extract . 3. Contains Peppermint oil , Basil oil , Kokum Butter . 4. An excellent face mask for all akin type . 5.It does what it claims , brightens & tightens the skin . 6. This face mask is free of Parabens , SLS, mineral Oil & Pthalates . Not available in Local Market . 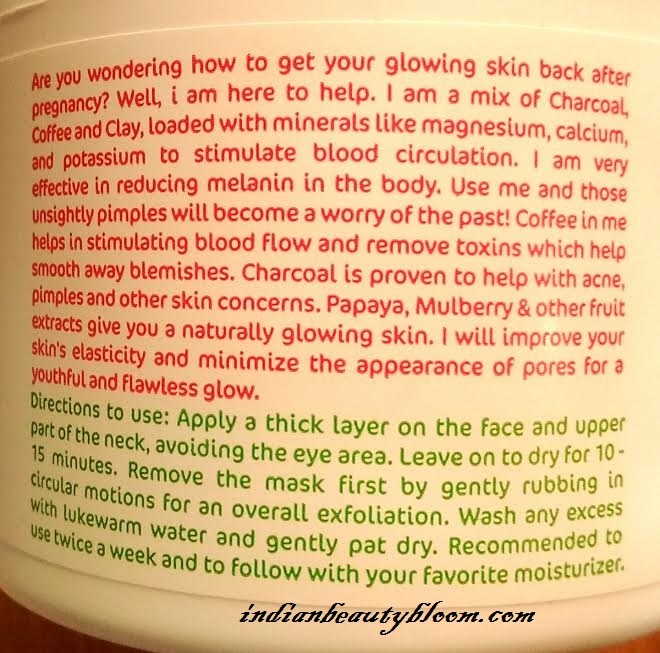 The product claims to reduce pigmentation . To exfoliate & lightens dark spots . To brightens & tightens skin . I am using this face mask past one week . It’s exfoliating power is good as it exfoliates the skin well removing all dirt & dead skin from face . 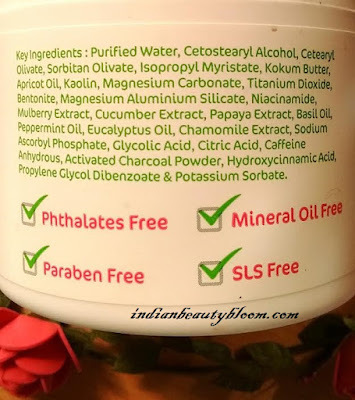 One can Buy this product from online stores like Amazon , Flipkart or Nykaa .